This stele, or stone slab, is inscribed with a royal decree from Thonis-Heracleion. Photo Credit: Franck Goddio/Hilti Foundation. The British Museum will hold an exhibition featuring antiquities from Egypt found underwater, the first one since 2011 to take place. The Egyptian ambassador in London highlighted the significance of the event, hoping the Mediterranean will be a sea of cooperation. The exhibition ‘Sunken Cities: Egypt’s Lost Worlds’ will open in May 2016 and will be open to the public for six months, two more months than standard time due to its high cost and expected popularity. It will be the British Museum’s first show focussing on underwater archaeology. 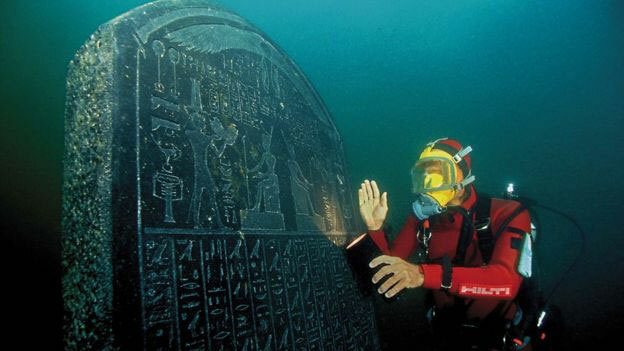 Among other well known discoveries visitors will have the opportunity to see recent discoveries from two submerged islands at the mouth of the Nile near Alexandria —Thonis-Heracleion and Canopus, both founded in the seventh century BC. A version of the exhibition is now available at the Institut du Monde Arabe in Paris at the Osiris: Egypt’s Sunken Mysteries exhibition, open until 31 January. After the British Museum the artefacts will be moved to Museum Rietberg in Zurich (2017). However, although the exhibitions in Paris and Zurich focus mainly on Osiris, the London event will focus on the links between Egypt and Greece. Around 300 objects will be exhibited, 200 of which are owned by the Egyptian state. Fifty more items excavated elsewhere will also be lent by the Egyptian ministry of antiquities. 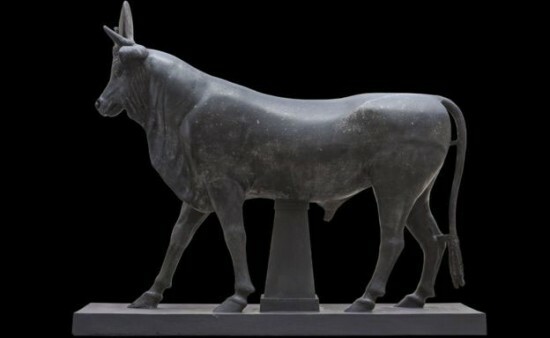 Fifty pieces will be from the British Museum collection, mainly from Naukratis, the first Greek settlement in Egypt. 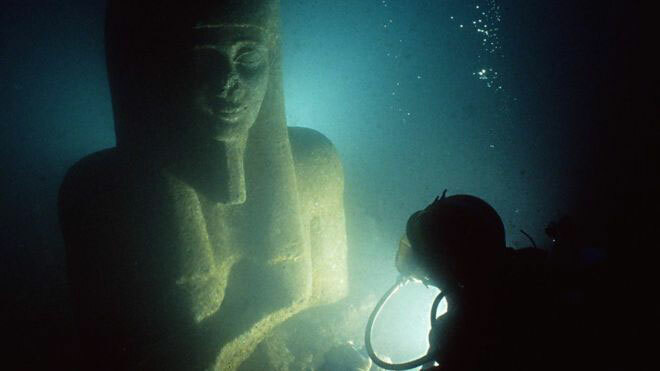 Some of the most impressive items to be exhibited are a 5.4m-tall, 6-tonne red granite figure of Hapy, a divine personification of the Nile’s flood, or a sculpture of Arsinoe II, the eldest daughter of Ptolemy I, founder of the Ptolemaic dynasty, discovered underwater by French archaeologist Franck Goddio, who also discovered the two sunken cities. 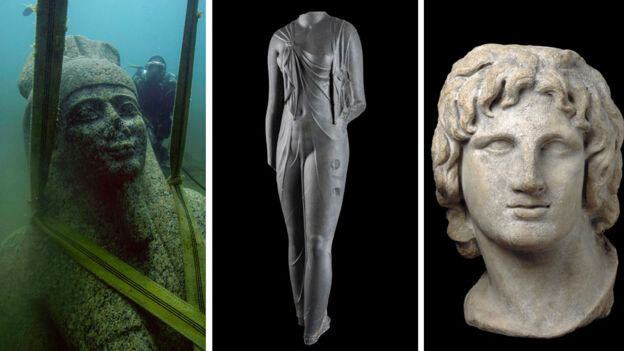 The statue of Arsinoe II is without a head, although hope remains that it will be found as the underwater project continues. The exhibition ‘Sunken Cities: Egypt’s Lost Worlds’ will take place at the British Museum, London, from 19 May to 27 November 2016.